Often referred to as the crowning glory of a woman, hair can greatly affect the appearance of all of us no matter whether male or female. It is because of this that the majority of folks will typically spend a lot of time brushing and styling their hair every day. It is quite normal for folks to shed around one hundred hair strands on a daily basis but problems come in when a person experiences excessive balding and hair loss. Causes of hair loss range from aging to other abnormalities in the body with many folks looking for help from various hair products and other hair loss treatments. There are a number of reasons for hair loss and baldness and it is important to understand the underlying causes before attempting to treat the problem. 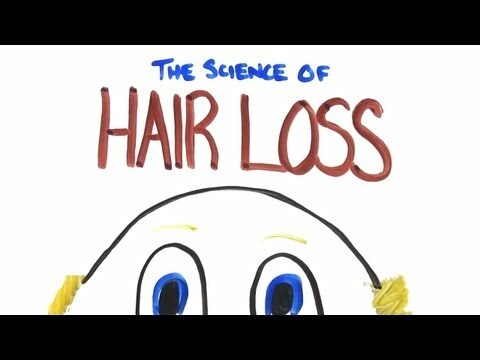 Hair loss can be hereditary, especially among men, and can happen when hormones cause shrinking of the hair follicles. As far as women are concerned, pregnancy and menopause are one of the main causes of hair loss mainly due to abnormal hormones during these periods. Among the more serious stress induced hair loss conditions is alopecia areata, which is the falling out of hair in patches. Several medical conditions can bring about baldness and the loss of hair including certain medications, chemotherapy sessions, high fever and surgery. In addition, continual hair treatments such as bleaching and dyeing, as well as the wearing of tight ponytails and braids, can also result in hair loss. Eating the right foods and keeping the body healthy is also an important step towards keeping a head of normal healthy hair. Nowadays, there are numerous anti hair loss products on the market with the simplest solutions for baldness and hair loss coming in the form of creams, lotions and shampoos as well as medications. Minoxidil, which is primarily used to treat hypertension, is a popular drug that is capable of restoring hair for those unfortunate folks who are on the edge of baldness. Indeed, it now comes in the form of a lotion that is simply applied to the scalp. For those folks who have problems that are more serious, there are advanced treatments available such as hair cloning and surgery. Hair cloning rejuvenates the hair via reproducing stem cells while surgery can range from a hair transplant to a scalp adjustment. Although there are some good treatment options available for those suffering from balding and hair loss, the old adage of prevention is better than cure is a far better option among folks who want to avoid these treatments altogether. Begin with proper hair care, which involves being gentle with your hair and avoiding the use of harsh chemicals as much as possible. At the end of the day, all your hair needs is regular shampoos and conditioners as well as a healthy diet, all of which can go a long way to promoting a head of long, beautiful hair.